Set in 5 acres of immaculately maintained surroundings, Smithy Park has a garden-like appearance. The mature trees and shrubs in the neat grounds lead down to the River Severn, where there is free fishing within the confines of the park. Day, weekly and season tickets are available for further upstream. There is also fishing available on the Montgomeryshire Canal. Fast water fishing includes Trout and Salmon and there are Grayling, Chubb and other coarse fish. The varied countryside is beautiful and fun to explore. Why not get a different angle and pop down to Kingfisher Kayaking, see the river on the river! The park has access to local footpaths, also ideal for dog owners. There is a small children’s play area, with swings, slides and a climbing frame for the little ones to enjoy. Nestled alongside the River Mule and River Severn (but safely fenced off) are our all-service touring pitches. Each concrete pitch has a 16 amp electrical hook up, a TV lead with free-view channels, drinking water and grey waste disposal. The usual toilet and laundry facilities are of course provided. Just a few yards away, the village has the Abermule pub to quench your thirst and provide hearty respite and the well stocked shop is open 6 days a week. The local Community Centre is a very short walk and has tennis courts, bowling green and other facilities available, with a small membership charge. If you need more, then the local market town of Newtown has a lot to offer. It’s just 5 minutes in the car or a regular bus journey from the park entrance. Supermarkets, The Bear Mall, Traditional Market Hall, boutiques and curio shops can serve your practical needs or provide some retail therapy. 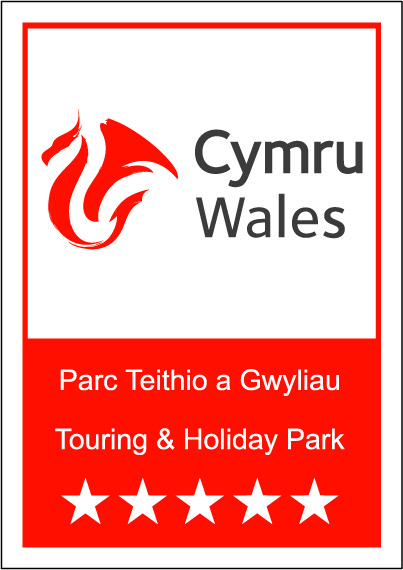 The Robert Owen museum, Oriel Gallery or Theatre Hafren should cater for your cultural needs. Welshpool is another bustling market town, with everything from specialist shops to Farmers Markets. There’s a steam railway, canal cruises and the famous Powis Castle nearby. The old county town of Montgomery also has castle ruins and grounds worth visiting. The Welsh coast is an hour’s drive away, so you can enjoy Aberystwyth, Aberdovey or Borth, with stunning scenery en route. With convenient access to the North and Midlands, Smithy Park is handy for you to get away from it all.